"Very good taken a lot from the course and thoroughly enjoyed it throughout. Very good kit list and description of course and requirements. Brilliant equipment. Learnt new skills, method and techniques, all explained very clearly." Really enjoyed both days – rope work was very thorough and conclusive. Descent of river Dora was awesome! Pushed me outside my comfort zone enough to improve but not enough to put me off. Everything I would have asked or did ask was answered. Paddling Alpine rivers was new and I was well eased into it." "Really enjoyed it, learnt a lot. Coaches very knowledge, good at getting informative access. Brilliant course, very enjoyable and learnt lots." When operating in advanced white water kayak conditions we may need to have some advanced rescue tools. 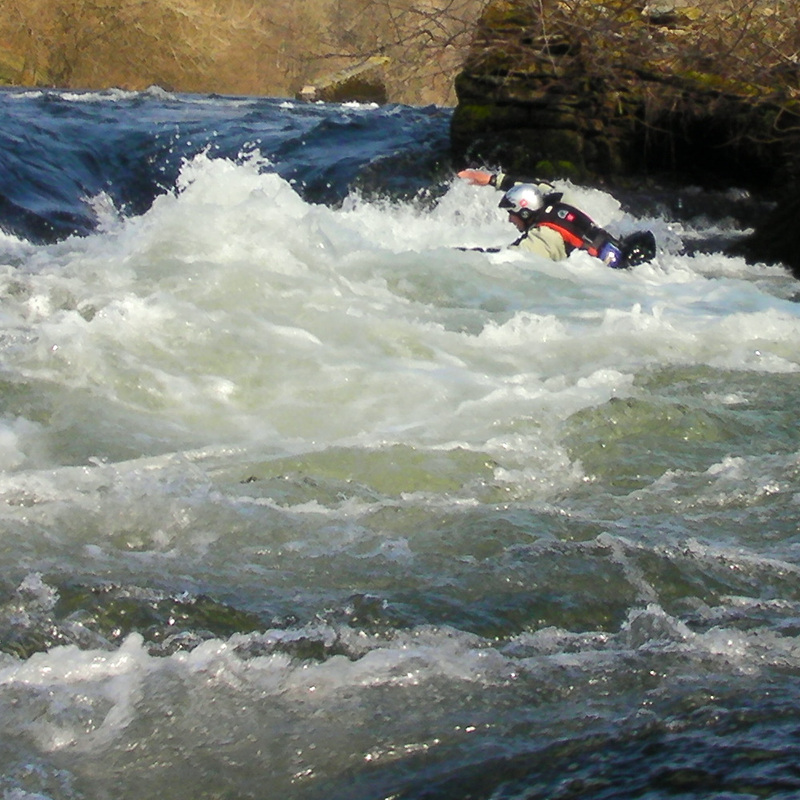 On this course we take the ideas from the standard White Water Safety and Rescue Training and extend them to make them applicable to advanced white water. We deliver the British Canoeing Advanced White Water Safety and Rescue Training syllabus based on years of experience of advanced boating. We believe the best solution is usually the simple one and will help you to develop a thorough understanding of these. Supported by a strong emphasis on prevention rather than cure we will help you become a safer paddler with a better range of tools to deal with the problems that are likely to occur. 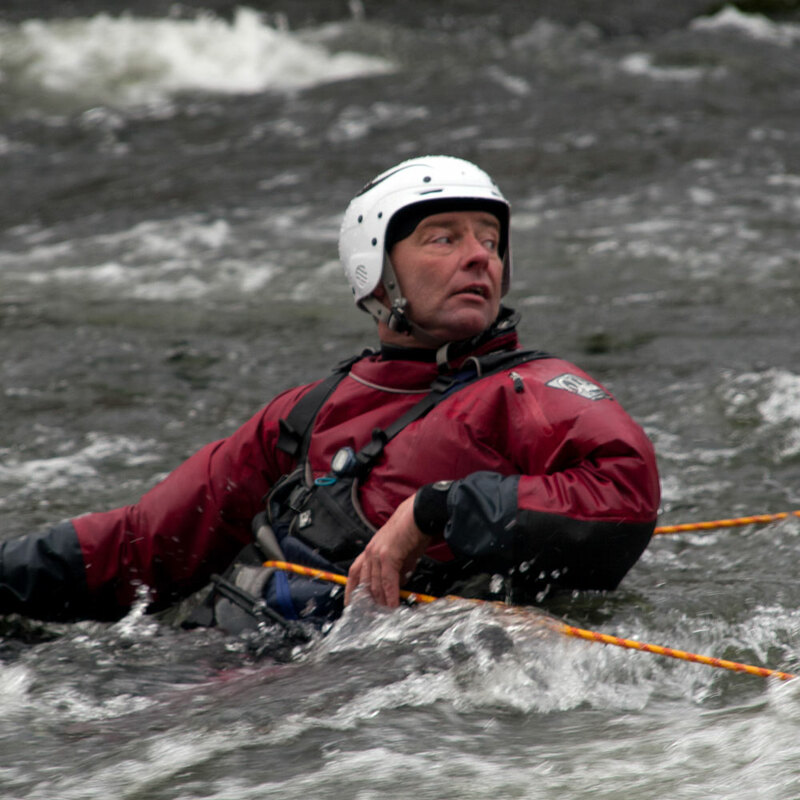 Although this advanced white water kayak rescue course is the pre-requisite for British Canoeing Advanced Leader (formerly 5 Star Leader) we suggest that anyone operating in advanced white water should use it as a refresher. 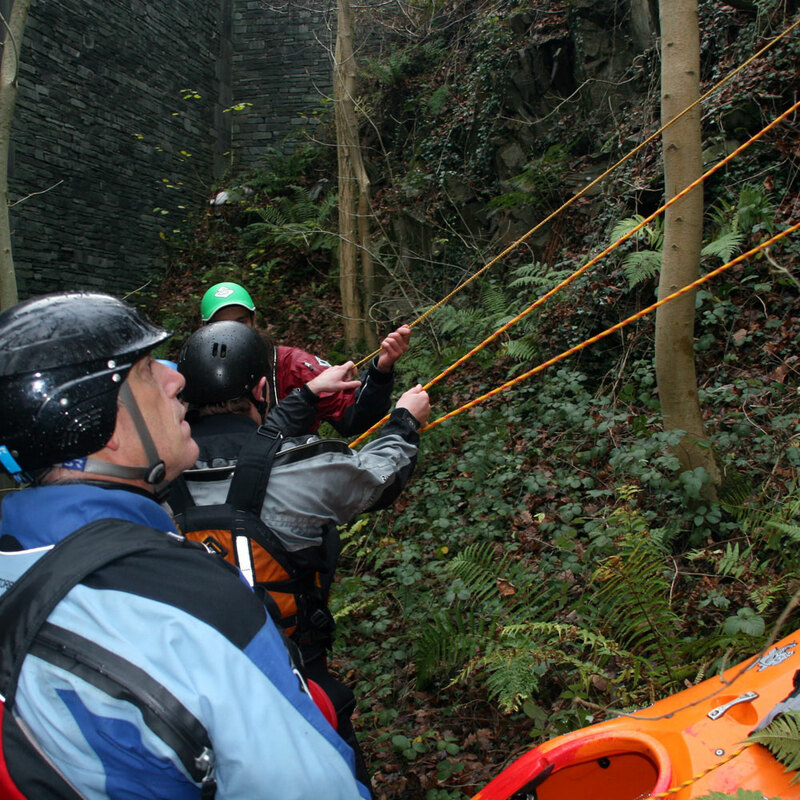 Our coaches will give you the most up to date techniques and allow you to practice rescues in a safe environment. 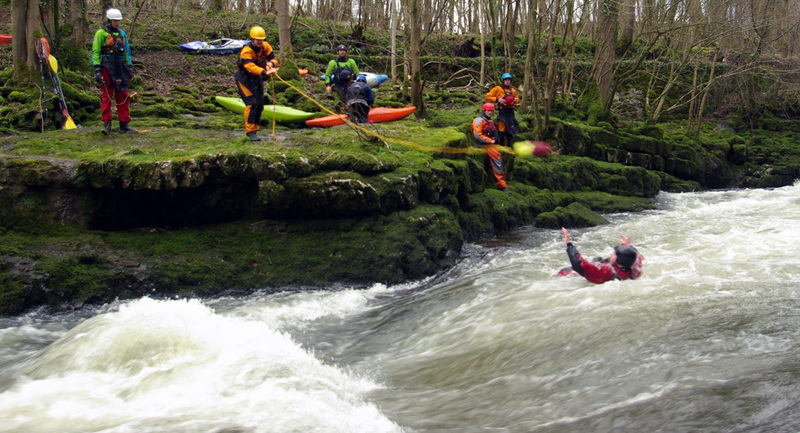 Wild River is very happy to offer bespoke rescue training to any individuals or groups without the limitations of a set syllabus. Please contact us to discuss this. 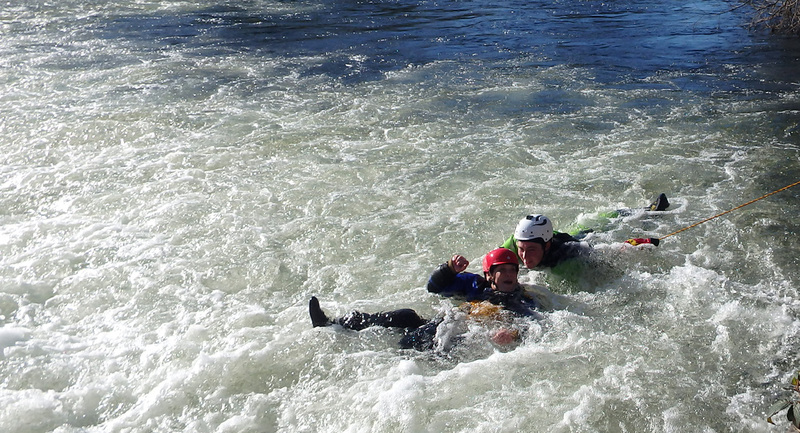 Application of standard white water safety and rescue skills in higher grade water. Advanced rope work including mechanical advantage. Leadership and group strategies specific to advanced white water kayaking including group management of bank support on advanced rapids. Placing rescuers into the current to retrieve equipment or people. Advanced techniques to rescue entrapped paddlers. Boat chasing in advanced water. Moving paddling equipment or people on steep terrain. Incident management and casualty treatment and care. 3-5m length of un-knotted climbers tape. Two HMS locking karabiners. Whistle, river knife safely stowed but easily accessible with one hand. 0ne pulley and one prussic. Your normal white water kayak with appropriate outfitting and paddle. We strongly recommend wearing a drysuit for this course. There will be a range of equipment to try on the course but if you wish to borrow anything please let us know in advance. During the course we will use a range of knots. It would be really useful if you could practice tying these prior to the course. Prussic (3 wraps and Klemheist). Figure of 8, re threaded and on the bight. Diagrams and videos of most of the knots above can be seen using this link. Both sections of the river Leven. Low Force section of the Tees. The gorge section of the River Nith. If we use this we can offer transport from North Lakes. Why not combine courses and save on course fees? Be confident swimming in normal canoe clothing suitable for a moving water environment.